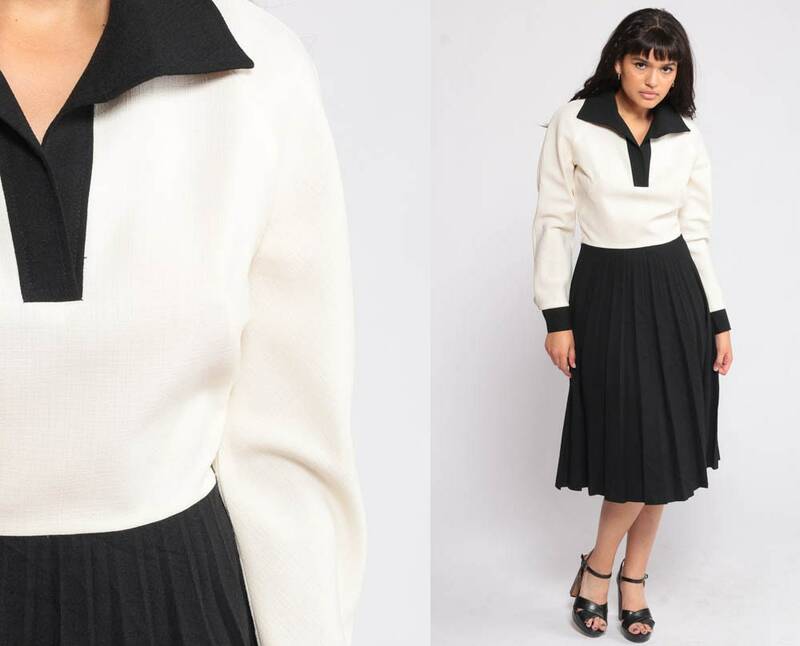 Vintage 70s dress with an off-white bodice and a black pleated skirt. Midi length. For reference, model is 5’5” and measures 33-28-41. Condition: Very good vintage. Has some faint spots across the front of the waist that can come out with cleaning. Material: Feels like a Polyester blend.